The World Dressage Masters Palm Beach presented by Wellington Classic Dressage concluded Saturday at the Jim Brandon Equestrian Center with the WDM Grand Prix Special and the WDM Freestyle. Competition at the only North American stop in the World Dressage Masters Series presented by the Axel Johnson Group came to a close under the lights as the top seven combinations from Friday’s WDM Nürnberger Grand Prix performed their customized Freestyles. 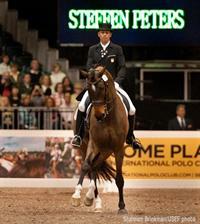 For a second time over the weekend, Steffen Peters led the U.S. effort, collecting third place, in the Freestyle scoring 80.175% with Legolas 92. The U.S. veteran was unable to best Sweden’s Tinne Vilhelmson-Silfven who rode Don Auriello to victory with a score of 84.075%. The afternoon session hosted WDM Grand Prix Special competition, with Denmark’s Mikala Gundersen and My Lady topping the six horse field on a score of 69.479%. 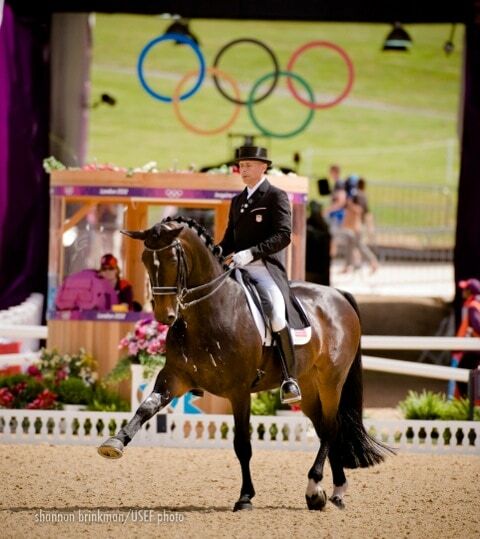 The sole American entry, Jim Koford and Rhett, finished in second place with a score of 67.167%. WDM FreestyleIn her third attempt at claiming victory in the World Dressage Masters Palm Beach, Vilhelmson-Silfven was victorious on the strength of a powerful Freestyle performance. 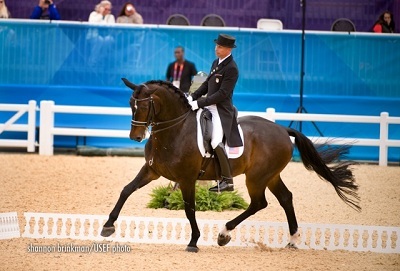 A floor plan choreographed to The Who for the 2012 London Olympic Games perfectly highlighted Don Auriello’s gaits and attitude, helping them to achieve a career best score. Sweden’s Patrik Kittel and Watermill Scandic HBC were forced to settle for second behind compatriot Vilhelmson-Silfven as they score 82.525% on Saturday night. The winners from the WDM Nürnberger Grand Prix performed an exuberant test set the music of Billy Idol.Peters who hails from San Diego produced an upbeat fun Freestyle with Four Winds Farm’s 11-year-old Westphalian gelding Legolas 92. 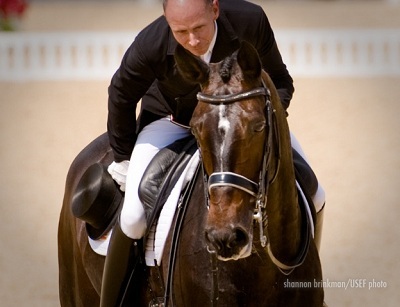 The test composed to recognizable music from U.S. pop-culture highlighted the 2012 USEF National Grand Prix Dressage Champion’s outstanding trot work, particularly in the piaffe and passage. For the second day in a row Heather Blitz of Wellington and her own Paragon finished in fourth place and as the second highest-placing American. The 10-year-old Danish Warmblood showcased his signature extensions in both the trot and canter to score 74.9%. The Pan American Games Team Gold and Individual Silver medalists also added difficulty to their Freestyle by executing two-time changes on the circle which they did immaculately. Finishing in seventh-place on a score of 68.575% was Adrienne Lyle of Idaho and Parry and Peggy Thomas’ 13-year-old Oldenberg gelding Wizard. Saturday afternoon’s winner’s Gundersen and My Lady were late additions to the World Dressage Masters Palm Beach presented by Wellington Classic Dressage, as they qualified through the FEI Grand Prix Test in Thursday’s CDI3*competition. The pair scored 68.447% in the WDM Nürnberger Grand Prix on Friday and improved upon that performance by more than a full percentage point in the Grand Prix Special. Finishing third in the WDM Grand Prix Special were Canadian veterans Jacqueline Brooks and D-Niro with a score of 66.833%.